I am going to learn how to make a pineapple quilt this summer. It should be fun. My favorite summer sewing project was when I made my summer sampler series quilt with my 4 year old's color and fabric choices. I want to make the Love Squared quilt from Fort Worth Fabric Studio. This will be my biggest modern quilt so far. What a gorgeous bundle of goodness!! This Summer I plan to continue practicing my fmqing. I have a HUGE stack of quilt tops that really need to be quilted so they can be used and loved :) Thanks for a great giveaway. This summer is the one I learn to use my longarm. Ooh, I love that pattern! My favourite summertime activity is canoeing or kayak. My boys are just getting old enough now to do it with me so I'm very much looking forward to going out with them. Oh and campfires with s'mores. :) Thanks for the fab giveaway! Oooh what a fantastic bundle, the colors are just so pretty! I love sewing bags and smaller projects in the summer, it is just too hot to be handling big quilts! My family loves to camp in the spring/summer/fall times. The project I want to start is a picnic quilt (with laminate fabric backing) to have to use. And maybe a cute patchwork table cover to have for the picnic tables that are always at our camping sites. Super giveaway - thank you. This summer my project is to try and set up a serious outdoor sewing space - here's hoping the UK 'summer' doesn't let me down. My favourite so far is Science Fair which I made as a Christmas present for a young lady last summer (in Aust, but I'm really looking forward to making Northern Lights for a teenager who just lost her mother, my good friend, to cancer - in memorium. summer projects: finishing my first jelly roll quilt, and lots of baby quilts for my granddaughter and other friends!! I'm looking forward to doing a bunch of EEP this summer so I can keep sewing while I visit my family. 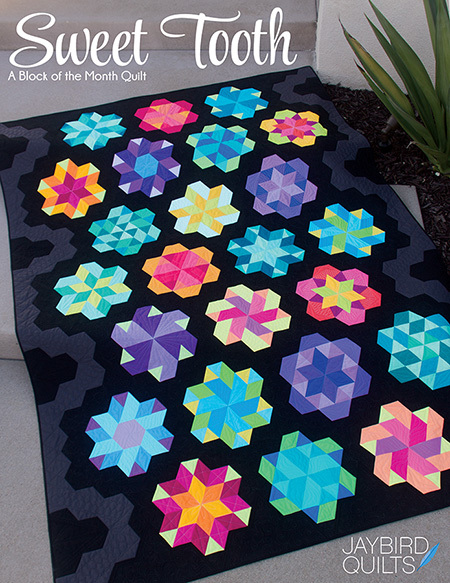 Also want to finish a Superbuzzy quilt with Ayumi Mill's Popsicle pattern! Thanks for the generous giveaway-- I love your Night Sky pattern, especially with the zig zaggy wedges! I have finally started a hexi project that I am going to be working on this summer. This is on my quilting bucket list so I am excited. Thanks for the awesome giveaway. What a great giveaway!! Someone will be very excited to win this! My favorite summer sewing projects are usually ones that I can carry around with me. This summer I will be working on a quilt using 20’s and 30’s in a pattern my Mom gave me before she passed away. My plans for the summer are trying to figure out how to turn the patterns in my head into actual quilts and maybe even writing/releasing my very first pattern! We are expecting our first baby in october so there will be a lot of baby sewing this summer. And baby blankets! Thanks! My all time favorite summer sewing project was making my oldest son a quilt for his dorm room before he went away to college his freshman year. It was sewn with lots of love, tears, and prayers! I just saw your daybreak pattern done in the Robert Kaufman "shimmer" collection and it is gorgeous. I think it would be great for my 14yo son. It looks very masculine and he has been wanting me to make him a quilt for his bed. Looks like I have my summer project all worked out, thanks . 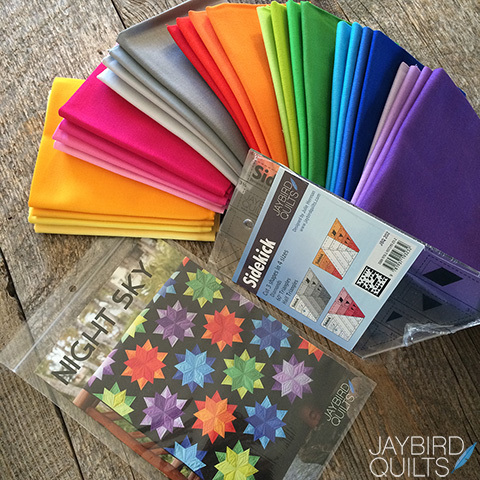 I'm itching to start a Swoon quilt for ME! I will be starting on a Halloween WOOL project! Because if I don't, it won't get finished till next year! Hahahaha!!!! I think a picnic quilt would look wonderful made in these fabrics.It would be so bright and colourful! I need to make cushions for my picnic benches. Thanks for the chance! I would like to make a couple patriotic quilts for my favorite Uncles who are Veterans and also finally start in on making a Swoon quilt for just me. I always seem to epp or bust out the big quilting projects. My favourite summer sewing are hexies. This year I would like to start with a apple score quilt though. Does gardening count as a project? I am itching to prune and freshen lots of pots of plants. For sewing, having revamped too much space in the house, the machine and everything else is packed away. Getting it all out will be first project. Then I would like to make some accent pillows for chairs and sofa. I am going to get to some unfinished projects this summer. It would be great to actually get something to the DONE stage instead of the undone pile. Great Prize! Thanks for the opportunity. Love this pattern! My family RV camps and we will be gone for two months. Of course, the sewing machine travels too. I want to make a few mini quilts and I love your patterns. So inspiring. I am going to make a quilt to giveaway for my upcoming family reunion this summer. Thank you for the fantastic giveaway! My favorite summer time quilt was a picnic blanket that I made with vintage sheets. Wow, wow, what a great give away! In this summer I want to learn the kaleidoskop quilt techniques from Ricky Tims. Congratulations on your coming wedding! The fabric looks like something I would love to have. Since last summer I have been working on a picnic quilt out of Going Coastal. I want to finish it soon so we can enjoy it this year at the beaches and parks. Thanks for the awesome giveaway! I'm going to work on a beach bag for an upcoming trip. I have a queen size paper pieced double wedding ring that I am hoping to start this summer. I just received all the material in blue and purple batiks and am ready to start. What a great bundle of colors! I have been wanting to make this quilt. Thanks for the giveaway! Last summer I worked on my youngest daughter's huppah - a favorite project for sure! Thanks for a chance to win your wonderful giveaway! I can't wait to begin starting on Bonnie Hunters last mystery quilt, Celtic Solstice. My favorite summer sewing was making a shade canopy to go over our pergola. It allows us to have a lot of shade and now I can sew outside while the kids play. Thanks for the chance! I love sewing. I am woking on a Tula 100 block quilt. So much fun. Would love to make nigh sky. My summer quilting project is a quilt for my first grandchild! pick me pick me pick me! My favorite summer quilting project was actually last spring when I was able to pull the treadle machine out onto my back deck and sew outside under the canopy of leaves in the shade -- I did string piecing for hours in the fresh air, and it was wonderful. My favorite summer project was a quilt I hand-quilted each block QAYG--it was fun to sit by the pool and quilt (and keep cool). Thanks for a super giveaway! in 2010 I was living away from home taking care of my father-in-law. We had a small pond there and I asked my big brother to make me a dock. I spent most of my free time there, working on the applique for a quilt I call Boston Strippy. A special sanctuary for a special time. That quilt in is Yakima being long armed as we speak, I am really excited to see it finished! My favorite summerproject will be my Mrs. Billing's Coverlett Quilt, which I sew by hand. I love to sit in the garden and sew. I love hand sewing projects for the summer. Perfect to pick up and bring with me out by the water. 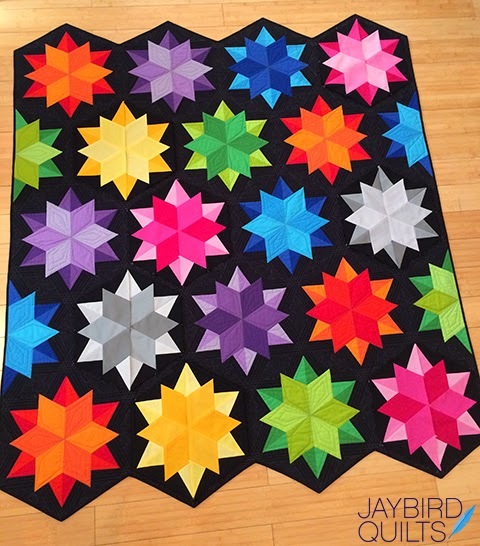 I'm thinking of doing another hex quilt this year, as my daughter has been asking for one. I'm making patio furniture cushions and covers for the summer, so I'll be able to sit outdoors to hand sew, win win. My summer sewing plan? I really, really need to finish up some UFOs (who doesn't? ), but I would love to piece a large "controlled" scrappy design for a class next spring. Plus play with some new rulers I just purchased . . . oh, and . . . . there's always something more, isn't there? I have not decided which quilt I will make this summer, but I am leaning towards one of the Christmas appliqué kits that I have purchased. I'm looking forward to making summer outfits for the grandchildren. Beautiful giveaway! Love your work! My plans for the summer sewing is to make a light weight summer quilt just because it's nice to have. Thanks. I just purchased the Sidekick ruler, and plan to make your Disco pattern at a summer retreat. I would love to win your Hex and More ruler and the beautiful fabric. I'm hoping to make a quilt this summer for my mother. This summer I'm going to actually try to make a quilt for myself. So far I've given them ALL away. I also have a few little girls that would like me to make them some Disney Princess dresses, something tells me those will come first. For me there is no specific project. My favorite part of summer time sewing is setting my machine up outside to sew in sunshine while my kids play. 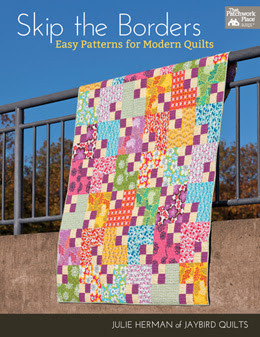 I have the Radio Way pattern and Pink Lemonade Tonga Treat strips which will make a nice, summery quilt! Last summer I made a huge queen size quilt using Joel dewberry fabrics and a log cabin pattern. Love it! I have no specific project but I would like to finish the needle turned applique project I started ages ago. I'll be working on some small zippered bags....and I gave away tons of zippers (yard sale find) last year...geez!!!! Love this bundle. This is a great giveaway! I am preparing to make myself a purse Almost have all my supplies, just a coouple of zippers and I am ready to start! My favorite summer sewing is on my porch, with my Featherweight, sewing on anything. I have to keep the rocks nearby to put on top of things so they don't blow away in the summer breezes. I love our long days for sewing projects. Firstly, congratulations on your upcoming nuptials. Second, my favorite summertime project in the past was making a 6" hexagon quilt with all scraps from clothing I had made. I used a cardboard template and scissors. I didn't finish the quilting until twenty years later. This summer I want to make a "LOVE" wedding quilt for my nephew. Thirdly, I would love to win your fabric. Awesome! Such a gorgeous bundle! I'm hoping to sew up some place mats for the summer. I also am thinking of trying my hand at sewing clothing, in the form of lightweight adorable pants for my kids. I think I would like to make a log cabin or saw tooth. I haven't made one of these yet. Would be fun! Thanks for the amazing giveaway! I'm a huge sucker for solids so thanks! I'm finishing up a half square triangle sampler quilt that I did to better my skills! Ooooh, what a great prize!!! I'm about to start making matching dresses for the granddaughters (and great-niece). The 5 yr old and I picked out the fabrics this weekend. If these turn out good, I expect I'll be making lots of them this summer! So excited to be entered into your terrific giveaway! I'm looking forward to making some new summertime dresses - the Washi Dress is calling my name right now! My favorite summertime projects were sewing with my mother. I would go visit her for a week and she, my sister-in-law and I would set up our machines in the garage and spend all week sewing. My mother would even nap in her chair, not wanting to admit to herself that she couldn't keep up. Haven't worked with solids. This is beautiful. I'd love it! My Summer project this year in Toes in the Sand. So excited to start it. Summer reminds me of Tote. Beach tote is fun. Picninc quilts is fun too. Thanks for the wonderful giveaway! BTW your rulers rocks. I love mine! Hello! Great giveaway idea! My summer project involves matching cushions for our patio chairs and the folding chair. I can't wait to get started since the weather is already getting warm and sunny! I have wanted to do a flag quilt for the longest time, but just have never had the time. But this year I'm doing it! I'm making the time! I am going to make a summer-weight quilt for my bed with just flannel as the batting. That is a HUGE giveaway. So generous. I would love to win. Using your Hex N More ruler, i just finished a darling baby quilt. Getting ready to start another for little baby Jane ! I'm hoping to finally make a quilt out of Skip the Borders out of my Ed Emberley fabric. Fingers crossed that I do this! I'm another one who is going to make friends with her new/old long arm. I've got several tops waiting to be quilted--I'm going to get it done! BTW, Bonnie sent me! The colors in this bundle are lovely. The summer sewing project I am most excited about is the one I am finishing up now for my youngest daughter. She came home from college, saw the quilt I made for my mother-in-law and asked me to make her something simple. This is the first time she has asked me to make anything for her and we have both enjoyed the creative process while working together. I want to make some pillow covers for the living roomm. Hmm, sewing for me during the summer generally consists of only mending, but the other three seasons are jam packed full of fun sewing projects with everything from clothing to quilts and a whole slew of things in between. I'm really excited to work on a wedding quilt this summer for my nephew (eek,yes, nephew!!) who is getting married in the fall. I've got the fabrics and pattern all ready to go. I have been ordered to make bunting for my grand daughter! thats the project! Wow! Great prize :) I am looking forward to making Tiny Dancer sometime this summer but it would be great to make this one too! I can't wait to start my Granny block quilt. I love to do small projects that can be finished and enjoyed quickly. my favorite summer memories are of swimming and going to the beach. Using a picnic quilt at the beach. I have two summer sewing projects this year. My sewing project is the Tea Cups quilt. My son's first sewing project is a pillow case. He will use my sewing machine. It's going to be a fun busy summer. This summer my plan is to quilt my tops that are waiting and to make a night sky quilt! I cannot wait to make a lone star baby quilt this summer. Pleasecpick me -- I've been wanting to make a Night Sky for some time now!! This summer I'd better finish a quilt for my nephew marrying in August. I want to make some baby clothes! I am scheduled to take 2 modern quilt classes this summer and am looking forward to expanding my quilting horizons. The very first sewing project for "a Summer" that I can remember is making Barbie doll clothes on my "New to Me" treadle sewing machine when I was 8 or 9. Wow, what a great giveaway! Thank you for the chance. I love to make hexies in the summer. They are a great take along project. I can't wait tp jump into sewing a new summer bag. I already have your hexagon ruler, and my summer goal is to complete quilting the project I have done with it. I love your zigzag shape borders. It's definitely time for me to make a new beach/picnic quilt! Thanks for a great giveaway! This summer I will be starting a quilt for my daughter's "big girl bed"...excited!!! I can't wait to do your OMNI pattern, i love the way it sparkles! My favourite summer sewing projects are portable and usually English Paper Pieced because I love to be able to do them outdoors on on the move. Thanks for the chance. I love the bright colors in this quilt!! Please pick me!! I'm trying to make quilts for my 2 kids and all the grands for Christmas this year, so this prize would help with another quilt. Thank you for the great giveaway. vkh6210 at gmail dot com. This summer I'll be making lots of baby projects for my new niece, who's due in the fall. Thanks for the giveaway! 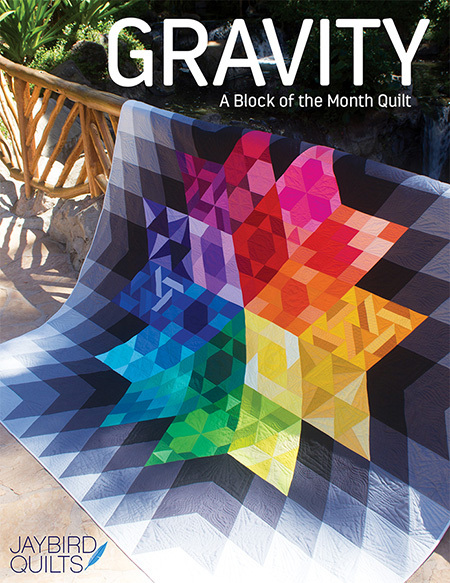 I've been dying to make THIS quilt, so it would be wonderful to win the kit. Thanks for the giveaway! Oooh! These are yum-lucious! Science Fair is going to be my summer break quilt - don't want to lose any math skills! I like to do embroidery or EPP in the summer. Summer isn't until the end of the year for me ;) but I am looking forward to finishing my Christmas Gypsy Wife quilt for the occasion as the quilt along I'm doing finishes in December! I am really looking forward to making a picnic quilt to use for the 4th of July this year. And thanks so much for hosting this awesome give away! My all-time favorite summer sewing project? I don't have one. My sewing tends to happen in the winter when the weather is bad. In the summer I am outside too much. What I want to learn this summer is how to hand piece a project so I can take it outside and on the road! These are Super-Dooper delicious (why do great fabrics just feel edible, or is it just me?). My summer projects include starting a hexie flower garden (portable for lazing in the Aegean with a small glass), and also a machine quilt project - of course need to finish the union jack, but nearly there. Thanks for the opportunity! I'm planning to make a small wall hanging with an embroidered bumble bee and matching fabric. I have clothes that need to be made this summer! And probably another quilt. But definitely clothes! My favorite summertime projects are small and easy to transport. We go to my GMIL's a lot and help her with yard work during the summer, so I can sew in between work. I am currently making a doll blanket for my niece from hexagons. I've already started a project that will culminate this summer. I'm making LOTS of potholders (nearly 50 so far) to take to a big family picnic where I will let anyone who is interested pick one and take it home. It will be fun to see what each of them picks. I still really want to make Chopsticks this summer if funds allow. I suspect I will be working on my hand-pieced Midnight at the Oasis which will be another labour of love. Thanks for the opportunity. Great giveaway! I'd like to tackle a dress this summer...maybe!Thanks for the chance. My favorite summer sewing project is a seersucker quilt that I made. It's so cute and just screams summer!!! Thanks for the giveaway! That pattern is gorgeous! I'm hoping to finish my firecracker quilt! I love your patterns- so easy to use. I would love to try this one next! My favorite summer project is whatever quilt class my daughter wants to take with me while she is home on break from college. I am new to quilting so my summer project will be to finally tackle a real sized quilt! (No more minis or pot holders or cushions!) time to become a big girl! Thanks for the chance! This summer I am going to master English paper piecing using liberty fabrics and pentagons! I want to tackle your Hugs and Kisses pattern, after I finish the quilt I am working on now. I have a huge list of summer sewing projects, but I think the weekender bag is the one I am most excited about. Or maybe it is the School House Tunic, or the supernova friendship quilt. Too many fun projects. Many things going on this summer but I want to learn paper piecing and start my strawberry social quilt. I so want to make this!! Thanks for the chance! I want to make a summer tote this year! I can't wait to get back to my Feathers quilt this summer. Lots of color set off by a cool white background. 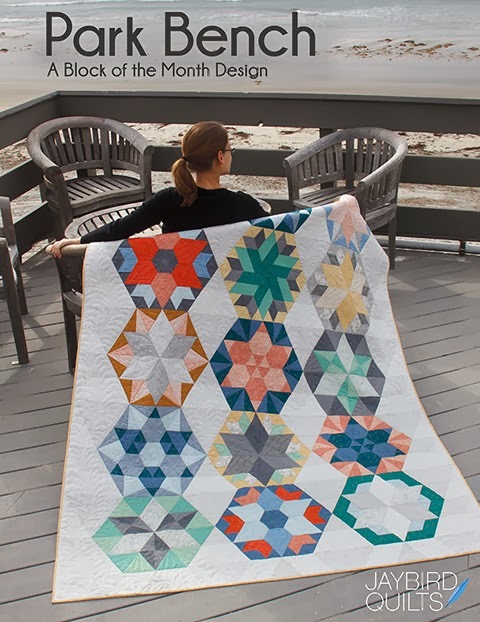 My summer goal is to finish my hexagon quilt from the Hex n More ruler!! My summer project is to make two wedding quilts and still have enough time to play around with my new Hex'n'More ruler because it's still in shrink wrap! This is such a great giveaway! This summer I'm going to try my hand at the weekender bag. I need a nice big zippered bag for camping and overnight trips. Thanks for the chance to win! This summer I am determined to try CURVES with the lots of Dots pattern from Green Bee. I'm all kinds of nervous, but it's a quilt pattern I've had as wanted to sew up for over a year! This summer I will be tackling the pile of UFO sitting in my studio, no new projects til I get through a bunch of those! Wicked awesome giveaway! My summer plans include making some charity donation quilts. Can't wait! I am going to work on hexi table runners (hand work) and seasonal paper pieced wall hangings! The project I look forward to this summer is learning to do quilting on my quilting frame with a mid arm machine. I would love to have the quilt from the fabric you are giving away to be my first project! Thank you for the opportunity to win it. Moving this summer, and I can't wait to get my new sewing room set up! I've got stacks of fabric ready to cut for I-Spy quilts to go to my nieces and nephews. I've had too much work to actually get to my fun project though. Hoping to work on those through the summer! My sewing project this summer will be the Primitive Gatherings block of the week--hope I can keep up so it doesn't become another UFO!! In the summer I like to do handwork. Portable and seems less hot, lol! I have a 60 degree diamond EPP project waiting for me. Looking forward to it. Thanks for the amazing giveaway! I would love to make these into a large king size quilt of come what may.I have been looking for a pattern and I think these colors would be ideal.Thanks for the chance of a give away. My summer project will be Jennifer French's "French Roses" quilt--very different from your quilt designs but I love all kinds of quilts. I am going to be working on my swoon quilt this summer! I also wanted to work on something with solids! This would be perfect! Thanks for the chance! Can't wait to start on my Snack Time quilt. Collected all the necessary fabrics, and I am itching to go. First, however, have to finish two wedding quilts and a baby quilt. Would love to play with your fabric stash though! I am finishing up a quilt for our new baby (who was born last month). Summer projects need to be simple this year! :) I'm looking forward to up cycling some old t-shirts into cute and comfy onesies for the baby. 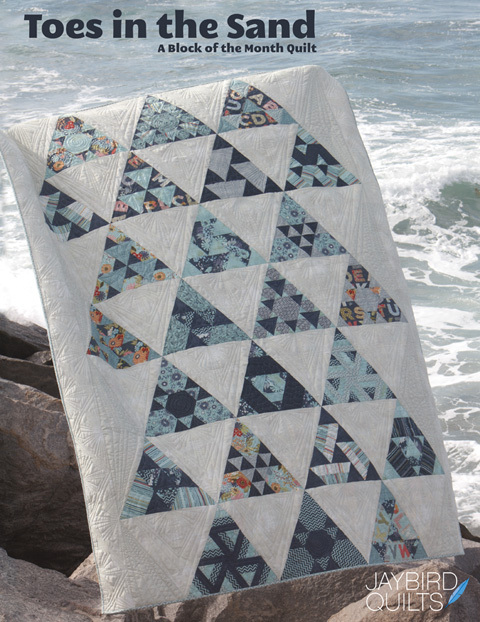 This summer I am going to make Elizabeth Hartman's Aviatrix Medallion quilt. I'm still working out my color scheme. But it's going to be so much fun. I love the colors in your bundle. They have always been lovely. I'm planning on using my scraps/strings and make teacher quits for the next school year. This summer I have a medallion quilt planned with some greys and aqua/teals I've been collecting for over a year. These colors remind me of the Amish quilts I would see when I was growing up. I like to work on small projects in the summer when it is too hot for big quilts--I am happy to find your site and so many patterns for minis! I'm going to venture out and try my hand at garment sewing this summer. I want to make several skirts to fresh up my wardrobe. I just bought two patterns from craftiness is not optional: the Nessie top and Lulu Dress. Can't wait to do those. As for quilts, I'm torn but I have a swoon pattern and the feather pattern from Anna Maria Horner that are calling my name. Thanks for the opportunity-that quilt is beautiful. I love quick summer dresses! I'm going to work on my red and white quilt for the Red and White Challenge. Also, get at least 3 ufos finished up!! Every summer I escape to our cabin with the grand kids.... I make sure I have several tops ready to quilt, and we lay them out on the Ping pong table, and they help me baste them. I usually quilt in the mornings, and afternoons while the kids run through the trees, hike or just enjoy their summer reading. I usually have small projects for the kids to work on, piecing, sewing or quilting... Last year they all made little toiletry and matching laundry bags. This year they all want special zip bags for their tablets and lap tops.... They are getting to big, too fast! I love this quilt! This summer I'm planning to make several Christmas quilts. No more last-minute gifts...I hope. Growing up, my favorite summer stitching activity was making summer tops and adding bits of embroidery to them. Now, it's hexie making. But this summer I plan to make a light quilt for an elderly friend who needs one. I have been eyeing this kit at my LQS!! This Summer I want to work on EPP hexies. Although, my favorite to work on are HST. I'm looking forward to starting a quilt for my newest granddaughter, a pink quilt with some of Sarah Jane's newest line. I made a watermelon table runner that just screams Summer. A friend has it now, so I plan to make another one for myself this Summer! 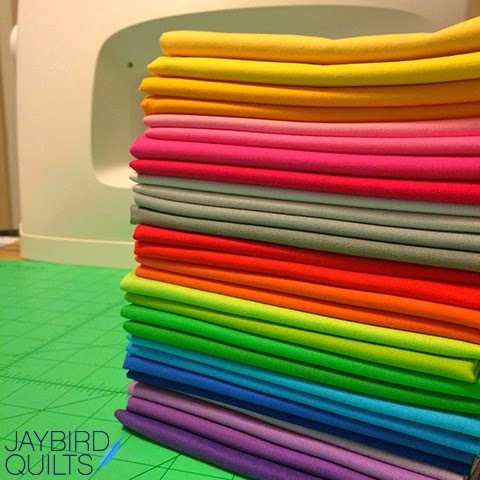 I have a Jaybird mini cut out of each Tula Pink fabric line which is 13 right now! That is my goal for the summer...to get them all made! I love Night Sky! 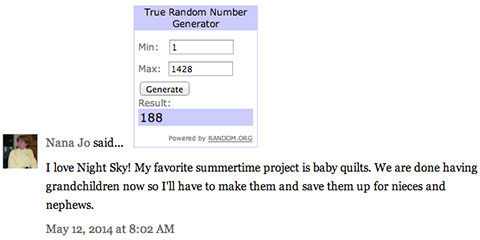 My favorite summertime project is baby quilts. We are done having grandchildren now so I'll have to make them and save them up for nieces and nephews. I' can't wait to make my daughter's quilt for her big girl bed. It's straight from your book! My summer project that in excited about is my flea market fancy patchwork quilt I'm gonna make for out new camping trailer! I've been afraid to cut into it but I'm going for it! This summer I'm working on some new quilt patterns I've designed. I can't wait until I can see the all in fabric! These colors make me happy! I'm going to finish my Tula Pink City Sampler this summer. All 100 blocks! Bought some cute mustache fabric. Hoping to make mustache sports or skirts with bloomers for my girls. 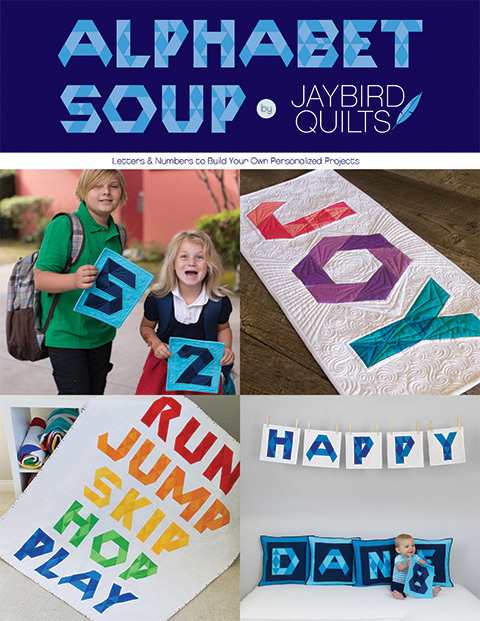 This summer I'm looking forward to starting quilts for different members of my family. Would love to start with this bundle. Thanks for the giveaway! Making a quilt for baseball games was my favorite summer project. Thanks. I would love love love to do a pretty Night Sky quilt this summer!! Beautiful stars in your 'Night Sky'. My summer time project is finishing up some UFO's and organizing my fabric stash. My son has outgrown his childhood quilt and needs a new big one. These bright colors are gorgeous- they have me planning already!